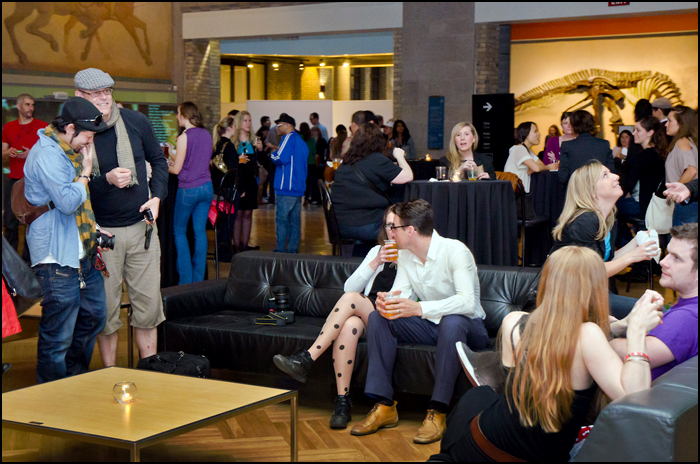 Museum members are able to skip the queue during Friday Night Live, which wrap up this inaugural year on June 22. Annual ROM memberships start at $54 for students, with the $149 family pass being the most popular offering. Admission: $9 for admission ($8 for students). Food and Drink: Pop-up restaurants vary from week to week, with prices in the range of $4-$6 per item; alcoholic beverage prices range from $5-$8. ROM Bucks: Purchase ROM Bucks to use at food and beverage stations once you’ve entered the venue. $1 equals 1 ROM Buck and can be purchased using cash, debit or credit cards. Themes: Each week offers a unique theme, consult the ROM website to see what’s upcoming before the series ends on June 22, 2012.